Physicist Henry W. Kendall suffered from an unidentified reading disability in childhood, but overcame this hardship and later studied under Martin Deutsch at the Massachusetts Institute of Technology. With Jerome I. Friedman and Richard E. Taylor Kendall analyzed angles and energy trajectories of electrons and protons from hydrogen nuclei as they were scattered by collisions. Their findings showed that electrons were scattered more widely than the era's scientific understanding could readily explain, which set the stage for follow-up experiments which established the existence of quarks and led to a reworking of the Standard Model theory of matter. With his collaborators Friedman and Taylor, Kendall won the 1990 Nobel Prize in Physics. 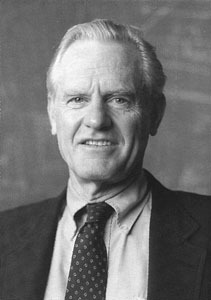 Kendall was a founding member of the Union of Concerned Scientists, and chaired that anti-war group for more than twenty-five years. He composed the highly-publicized but politically-ignored "World Scientists' Warning to Humanity", published in 1992 and co-signed by some 1,700 scientists world-wide, which called for policy changes in government and business to avert environmental destruction that would cause widespread human misery and leave the Earth irretrievably damaged. "If we don’t halt population growth with compassion and justice," he wrote, "it will be done for us by nature; brutally and without pity — and will leave a ravaged world." In 1997 he was among the scientists who presented President Bill Clinton with a detailed explanation of the coming crisis of global climate change. He died in 1999. Dr Kendall died of natural causes while scuba diving, according to the Medical Examiner's report, which specifically ruled out drowning, foul play, or any malfunction of Kendall's scuba gear.